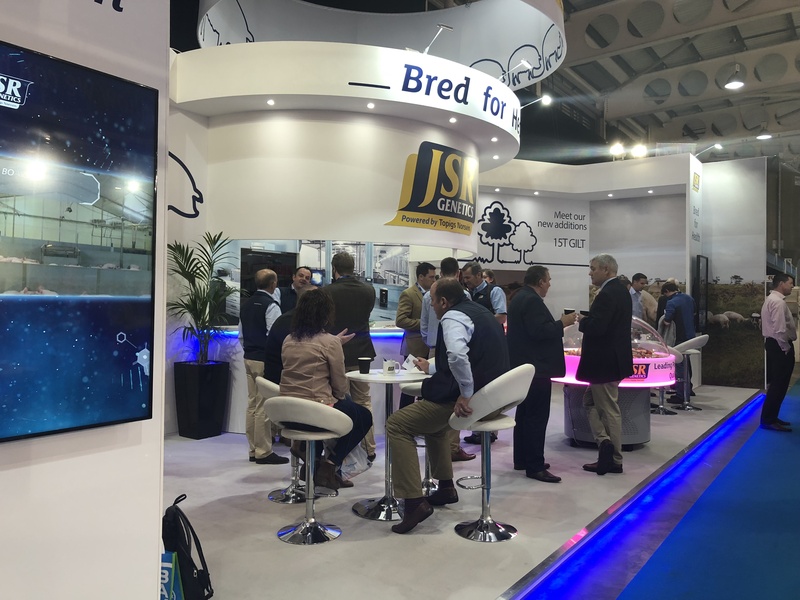 2018 saw the return of The Pig & Poultry Fair at Stoneleigh. With the number of visitors up on 2016 it proved to be a great turn out, with over 370 exhibitors across the two main halls and spilling out into the surrounding grounds, there was plenty for visitors to enjoy. There was a fantastic buzz across the two day event with visitors describing the atmosphere as "upbeat" and "positive" - and the lovely fine weather proving to be the cherry on top of a great show. A big thank-you to those who did make it to the event and stopped by to say hello, it’s always fantastic to see old and new customers alike. Hopefully you managed to try one of our lovely Sainsburys’ ‘Taste the Difference’ bacon and sausage sandwiches – maybe even washed down with a Yorkshire lager or glass of prosecco. If you took any pictures on the stand, tag us on either; Facebook, Twitter or Instagram – we’d love to see them. All Content © 2018 JSR Genetics Ltd, Website Design and Maintenance By Whitebox Studios.